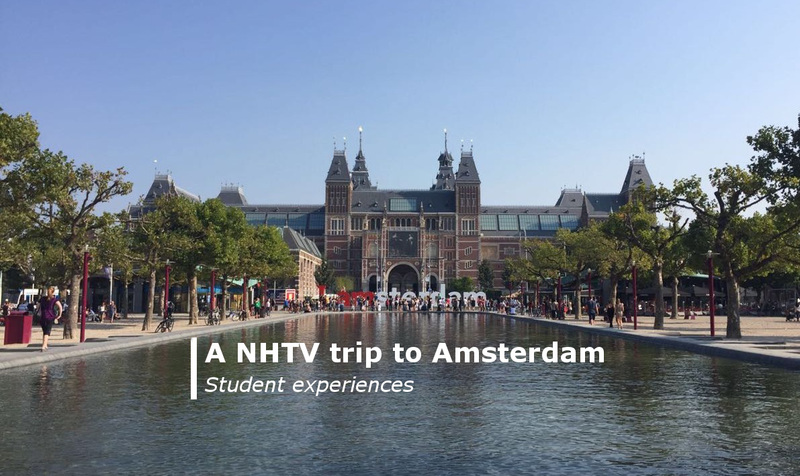 After three month curiosity and preparing, finally, I moved to Breda to start my Masters of Arts program Tourism Destination Management (Master TDM) at NHTV Breda University of Applied Sciences. Two days more of acclimatization in my new flat with four dutch students and I would get to know my new classmates and teachers. I was amazed of the high level of internationality in the class. Students from all over the world (India, Suriname, Italy, Russia, Brazil, Vietnam, Kazakhstan, Belarus, China, Iran, and Netherlands). 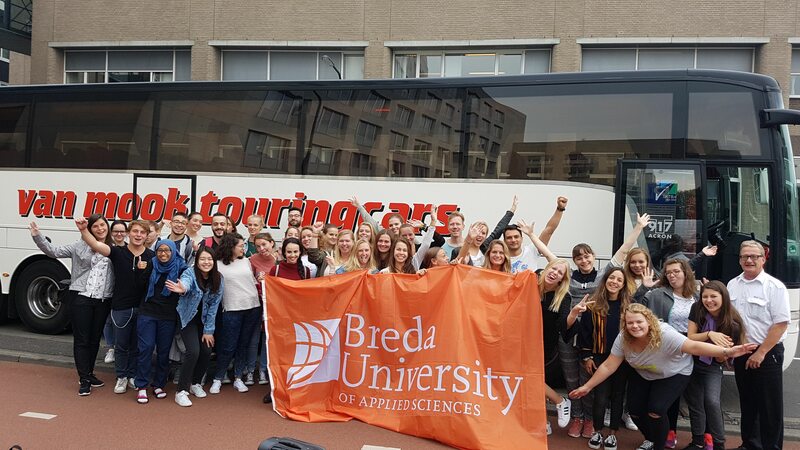 In the first week of our program the staff offered us information meetings and intercultural sessions to provide an opportunity to exchange cultural values, expectations and previous experiences in Holland. Many more possibilities were provided through get-togethers, drinks and especially through the trip to the Belgian Ardennes. Teambuilding tasks, several slippery outdoor experiences were waiting up ahead. This trip exceeded all my expectations. Even though, the first day was very rainy, fun was guaranteed, as adventurous hikes, climbing and practical exercises with the crossbow ensured laughter and smiles. After an exhausting but brilliant day we came back to cook and eat together under a pavilion. The bonfire provided us with comfort, cozy warmth and an opportunity to have drinks, to exchange interests and to have simply fun with the new classmates. I can not tell one special highlight of the trip. As I made new friends, it was a highlight on the whole. Back in Breda the tough master – program started. Even if I needed to get used to the workload, I must say: It was the right choice. 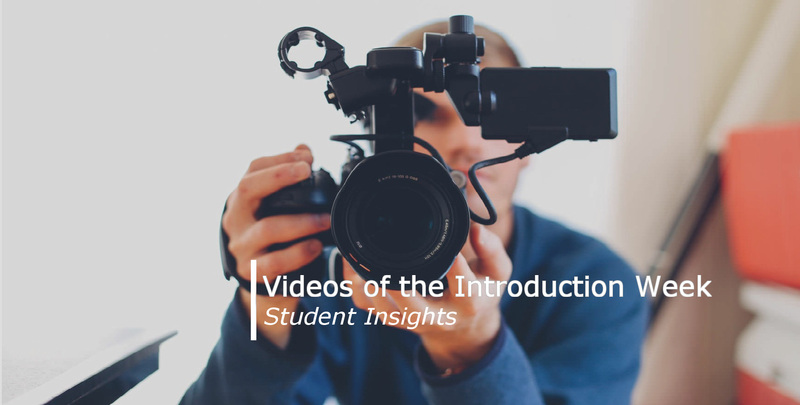 The masters program benefits from its diverse, complex and interesting topics, of which I haven’t been aware beforehand. I started as a girl without any knowledge and special interest in politics. Two month later, in the middle of October, I am willing to learn the ropes and to question politic topics, like political ideologies, power relationships and much more. 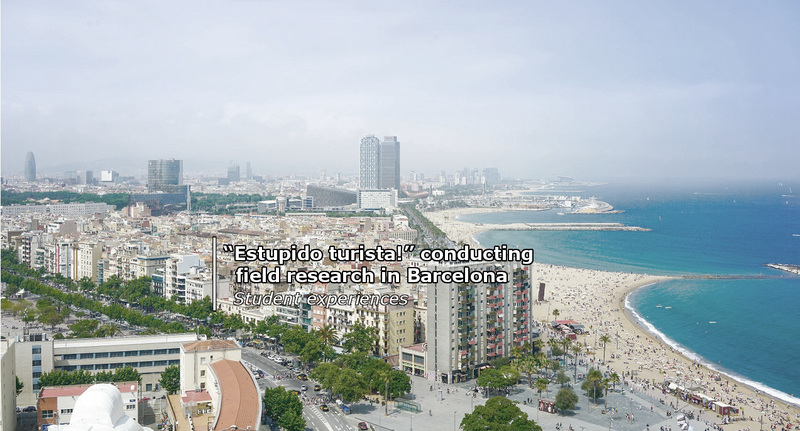 This is just one example of the diversity of interesting topics concerning tourism. I can not tell the huge amount of political, social, and cultural insights. Though, besides the tough and busy program, we organized various activities to create mutual experiences and to have fun further on. Above all, I’d like to mention our trip to ‘Scheveningen’ in The Hague. We catch a sunny day to visit the seafront. We spend a great day at the beach, followed by a ‘Food Truck Festival’ in The Hague. 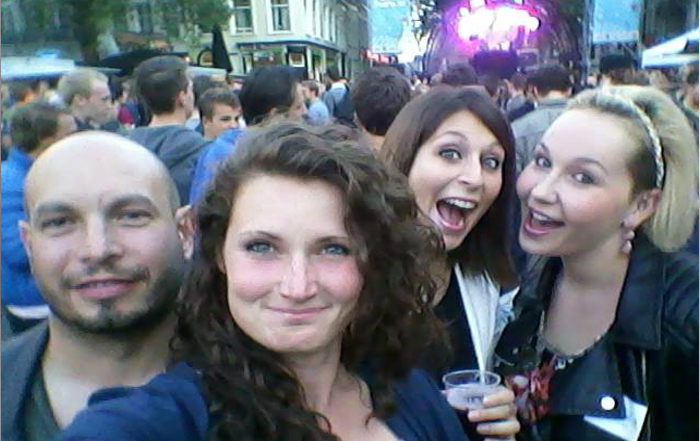 Additionally, lots of festivals were on the schedule: HBO Intro Festival – Breda Barst – Breda Loope. I think, the picture speaks for itself. Especially, our Intercultural evening with almost everybody of our class has been my personal highlight. It happened at the place of two german classmates. Its purpose: Everybody should bring a traditional dish or drink of their home country. The table was completely covered with plates, ranged from Italian made pasta over Vietnamese nudels to Iranian Shole Zard. Drinks and party in the City Centre followed directly. And for sure, the get-togethers, parties and festivals will continue – of course with adequate attention to our studies ;). Lastly, I am happy to be here in the Master TDM program, to get the chance for this opportunity, and especially, to meet all these wonderful persons.